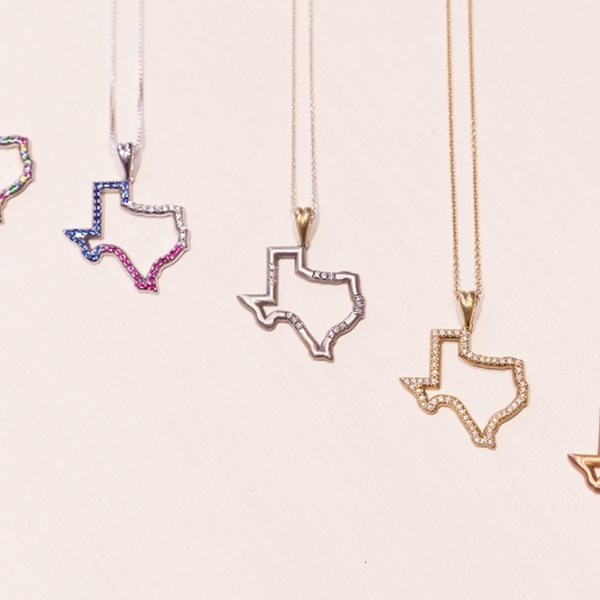 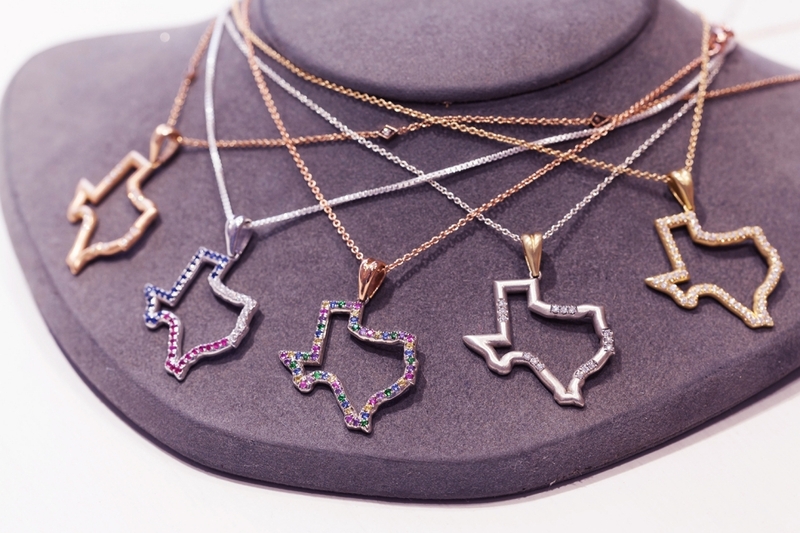 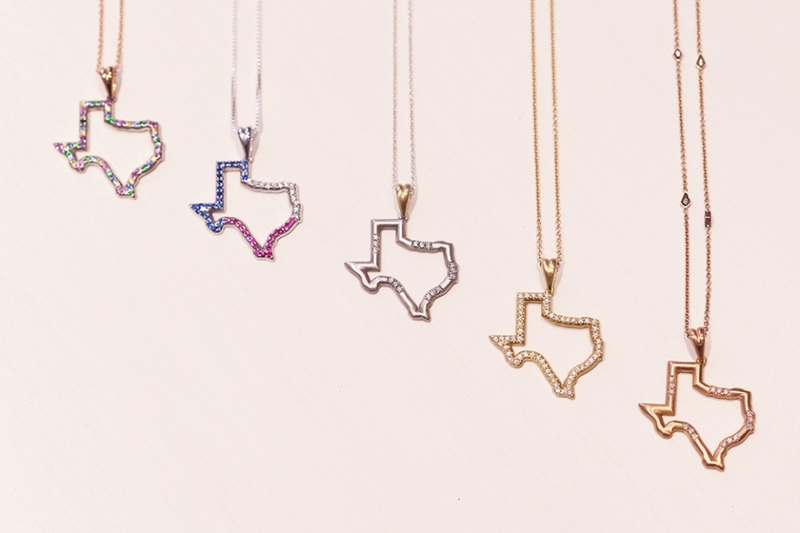 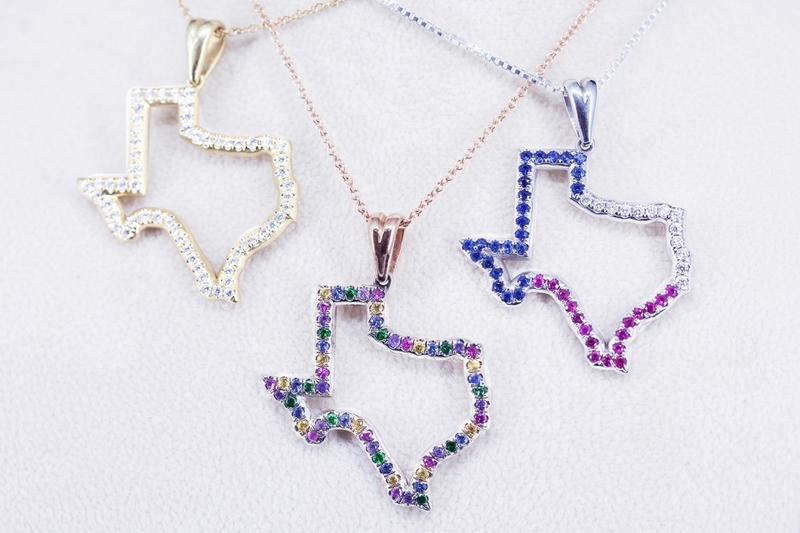 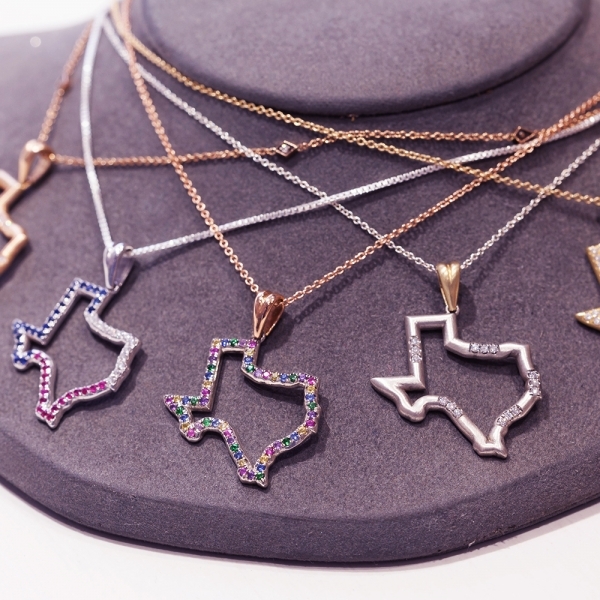 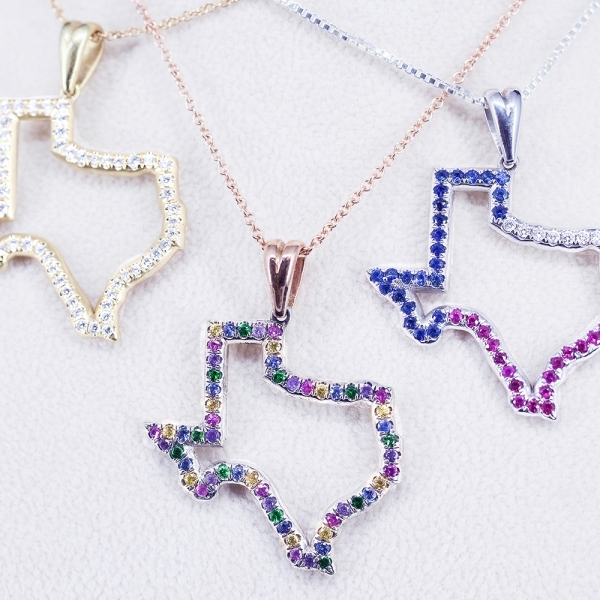 Texas Pride Collection. 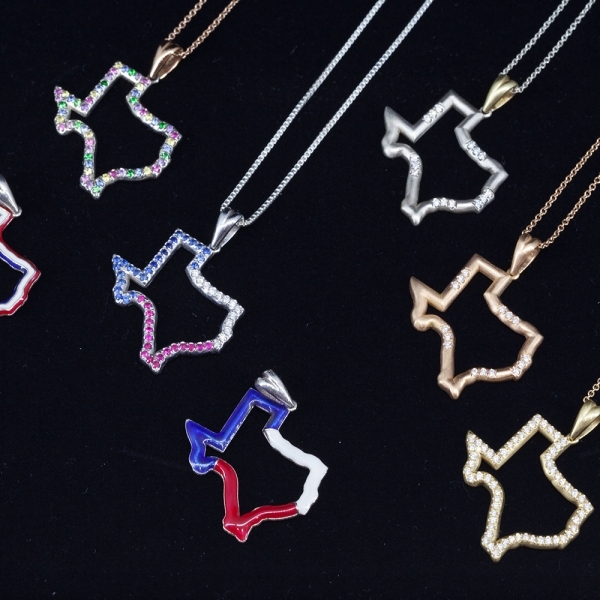 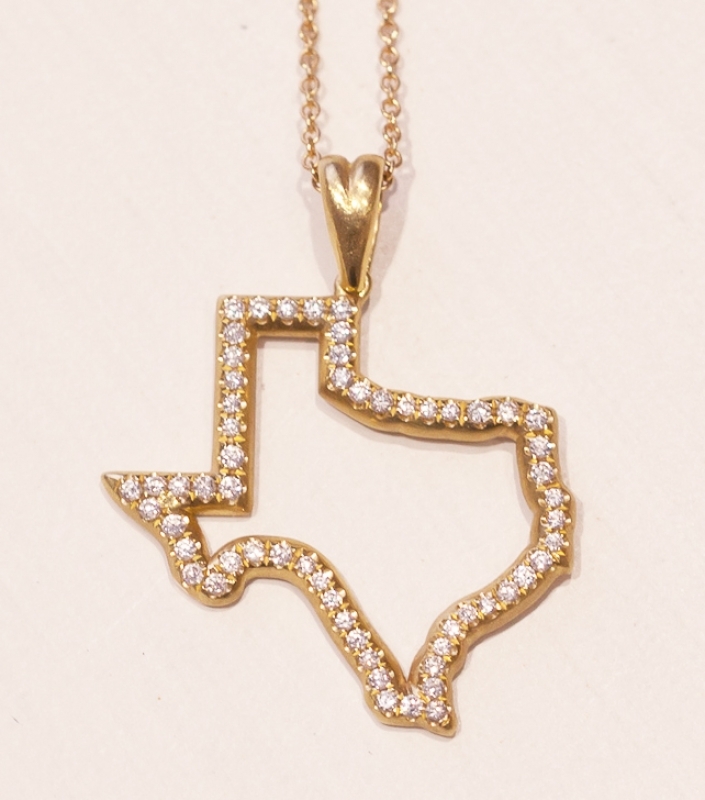 Profile of Texas in 18k Yellow Gold with Diamond Eternity design and heart bail (0.55 cts). 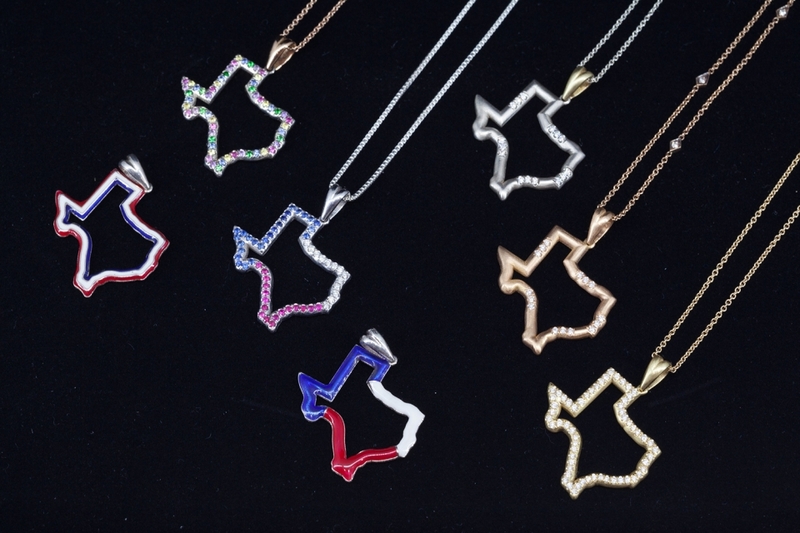 The chain is 18". 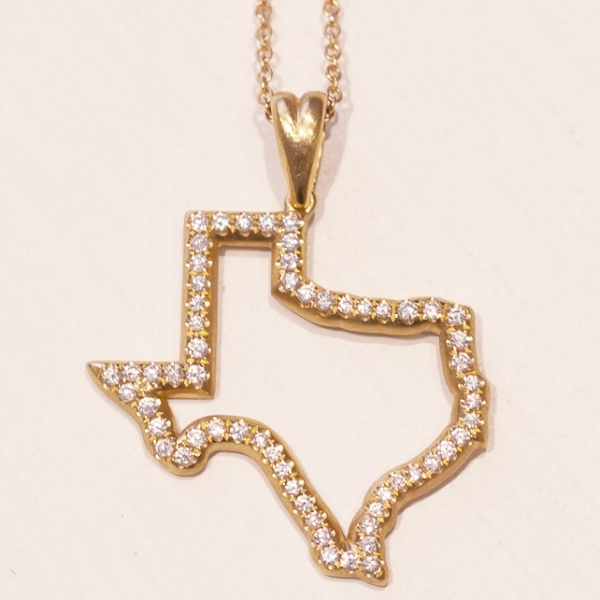 Available to order in White or Rose Gold.